This is a new drawing by Michel Montecrossa titled The Movie. This is a new painting by Michel Montecrossa titled Wondering. Today I want to post the song lyrics of Michel Montecrossa‘s climate change hit-song ‘Earth & Peace’. Michel Montecrossa’s climate change songs give the encouragement to save the climate of our earth both inside and outside of us. I’m takin’ care of you in my own way. Your eyes, red with hate, don‘t see tomorrow’s grace. Bullets find flesh. Dead bodies cry in gray. I‘m kissed by the wind, am embraced by the storm. The temperature is fallin‘ and I‘m freezin‘ to the bone. The farmland is a-burnin‘ and everything is wrong. You won‘t find the answer if you are all alone. ‘cause I see you’re hangin’ on a rope. Heute möchte ich den Songtext von Michel Montecrossa’s Klimawandel Hitsong ‘Earth & Peace’ veröffentlichen. Michel Montecrossa’s Klimawandel Songs sind der Aufruf, sich für die Rettung des inneren und äußeren Klimas unserer Welt einzusetzen. is the dew on your hands. Michel Montecrossa’s video for Land Under Water‘ accompanies the release of this admonishing prayer-song as ausdio-single. 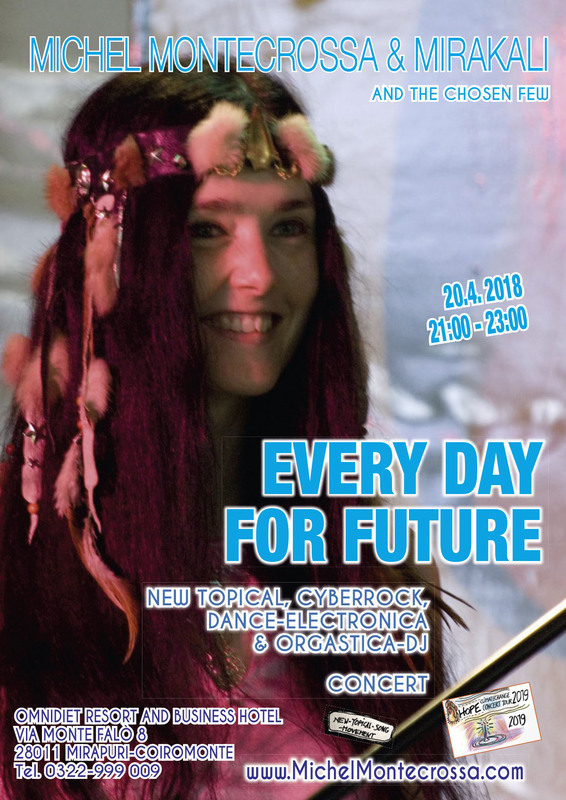 Video-News: Michel Montecrossa präsentiert den Song-Movie zu seinem Lied ‘Living On A Planet‘, einem Aufruf zum Schutz der Pflanzen- und Tierwelt und dem Erhalt von Biosphäre und Artenvielfalt unseres Planeten. ‘Land Under Water’ released by Mira Sound Germany presents as audio-single Michel Montecrossa’s admonishing prayer-song ‘Land Under Water‘. 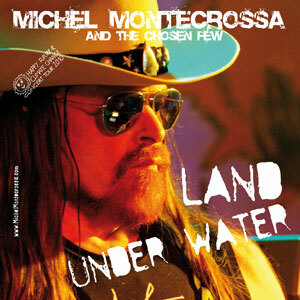 CD-News: Ab sofort ist Michel Montecrossa ‘s Audio-Single ‘Land Under Water’ erhältlich. Michel Montecrossa präsentiert mit ‘Land Under Water’ seinen neuesten Song zum Klimawandel.